An estimated 35 million Americans suffer from allergies to pollen and mold, according to the American Academy of Allergy, Asthma & Immunology. Symptoms include sneezing, a stuffy or runny nose and itchy, watery eyes. Each year, more than 12 million doctor’s visits result from allergic rhinitis. Symptoms from seasonal allergies are among the primary reasons people miss school or work. Allergists are the best doctors to diagnose and treat allergies and asthma. Find an allergist in your area at http://www.aaaai.org. Allergy shots can reduce symptoms in up to 85% of patients with seasonal allergies. Ask your allergist if they can work for you. You have any new symptoms or symptoms that are worse than in previous years. Be sure to mention if you experience coughing, difficulty breathing or loss of sleep, as these can be signs of asthma. You have missed school or work due to allergy or asthma symptoms. It’s very important that you report any related hospitalizations or visits to the emergency department. Your allergist can help you gain better control of your allergies and asthma. You are taking any medications, even if they are over-the-counter. This includes any herbal supplements. This information will help your allergist/immunologist prescribe safe treatments. Am I currently on the best treatment plan? With proper treatment, most allergies and asthma can be managed so they do not interfere with life. What steps can I take to avoid allergy symptoms? There maybe simple changes you can make to prevent reactions. What other treatment options are available? This may include allergy shots, less expensive medications or home remedies. 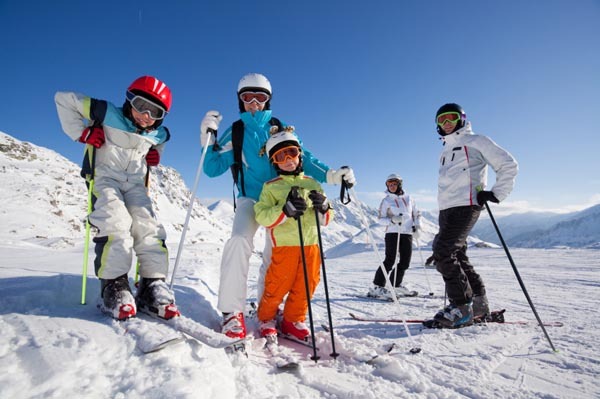 Whether you are preparing to compete in the Winter Olympics or enjoying winter sports on your own, exercise-induced bronchoconstriction (EIB) should not force you to be a spectator in your favorite sporting activities. EIB happens when the tubes that bring air into and out of your lungs narrow with exercise, causing symptoms of asthma. An estimated 300 million people worldwide suffer from asthma, according to the World Health Organization, and strenuous exercise can make it worse for many people. Some people with EIB do not otherwise have asthma, and people with allergies may also have trouble breathing during exercise. Breathing problems from EIB usually begin within five to 20 minutes of exercising. Symptoms include wheezing, a tight chest, cough, shortness of breath and, in rare cases, chest pain. People with EIB are sensitive to low temperatures and dry air. Air is warmed and humidified by the nose, but during physical activity people breathe through their mouths. This allows cold, dry air to reach the lower airways and lungs without passing through the nose, triggering asthma symptoms. Air pollutants, high pollen levels and viral respiratory infections may also be triggers. Other causes of symptoms with exercise may be that you are out of shape, have poorly controlled nasal allergies or vocal chord issues. An allergist / immunologist will begin by getting your health history, doing a breathing test (called spirometry). If a breathing test points to potential asthma, your physician may give you a drug to inhale. If breathing test numbers improve after inhaling the medicine, then the diagnosis of asthma is more likely. If your breathing test is normal, your physician may request an additional test called a bronchoprovocation challenge test. For this test, you will exercise. Both before and after exercising, your physician will test the amount of air forced out of the lungs with a spirometry test. If you exhale air less forcefully after exercise, then the problem may be EIB. The first step is to develop a treatment plan with your physician. EIB associated with more generalized asthma is prevented with controller medications taken regularly or by using medicines before exercise. When EIB symptoms occur, they can be treated with rescue medication. In addition to medications, warm-ups and cool-downs may prevent or lessen EIB symptoms. It is a good idea to limit exercise if you have a viral infection, when temperatures are low, or pollen and air pollution levels are high. The goal of an asthma treatment plan is to keep symptoms under control so that you can enjoy exercising or sports activities. However, there are some activities that are better for people with EIB. For instance, swimmers are exposed to warm, moist air which does not tend to trigger asthma symptoms. Walking, leisure biking and hiking are also good sporting activities for people with EIB. Team sports that require short bursts of energy, such as baseball, football and short-term track and field are less likely to cause symptoms than sports that have a lot of ongoing activity such as soccer, basketball, field hockey or long-distance running. Cold weather activities such as cross-country skiing and ice hockey are more likely to make symptoms worse, but with proper diagnosis and treatment, many people with EIB can participate and excel in almost any sport or activity. With the arrival of winter, seasonal allergic rhinitis (hay fever) and asthma sufferers can breathe relief as most outdoor allergens disappear until spring. But holiday gatherings and spending more time indoors exposes many people to different allergen triggers. Food plays a central role in many events. If you have a food allergy, these functions can be difficult to navigate. Be sure to ask about the ingredients used to make each dish. Be aware that cross-contamination can occur during preparation. If you think the foods served pose too much risk, or if you just don’t feel comfortable eating foods provided by others, you don’t have to. Bring your own snacks or eat before you arrive. Even if you take every precaution, there’s still a slim chance of an allergic reaction. Have your autoinjectable epinephrine (EpiPen/Auvi-Q) at-hand just in case. • Follow directions carefully when spraying artificial snow or flocking. Inhaling these sprays can irritate your lungs and trigger asthma symptoms. • If you leave your pet behind when traveling for the holidays, you may experience allergy or asthma symptoms on your return home. Dubbed the “Thanksgiving Effect” this phenomenon occurs when a person loses tolerance to her own pet after being away for a few days. • Be aware that stress can lead to asthma attacks. Chemicals released by the body during stressful times can cause the muscles around your airways to tighten, making it difficult to breathe. Flu season is here and so is the need to be protected by getting vaccinated. 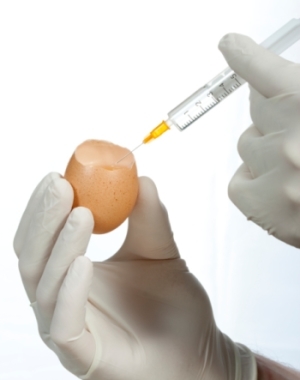 This vaccine contains a very small amount of egg protein, so before giving it health providers ask if you are allergic to eggs. But do you really know if you are allergic to egg? Could you have egg intolerance? Food allergies affect millions of adults and children. On the flip side, many people think they are allergic and unnecessarily avoid certain products. The big difference between a food intolerance and allergy is an allergy can cause a serious or even life-threatening reaction. This is why it is important to know if you have an allergy or intolerance to egg when you receive a flu vaccination. An allergist / immunologist has specialized training to properly diagnose your reaction to eggs or other foods. Food intolerance happens in the digestive system and occurs when you are unable to properly breakdown food. This could be due to enzyme deficiencies, sensitivity to food additives or reactions to naturally occurring chemicals in foods. An allergic reaction involves the immune system. If you have an allergy to eggs, your immune system overreacts by producing antibodies called Immunoglobulin E (IgE). These antibodies travel to cells that release chemicals, causing an allergic reaction. Studies show that even individuals with confirmed egg allergy can receive the flu vaccine with certain precautions. If you or your child’s reaction to eating eggs is hives only, the vaccine can be administered in the primary care provider’s office with a 30 minute observation period afterward. If the reaction to eating eggs involves other symptoms such as difficulty breathing or lightheadedness, the vaccine should be administered in an allergist’s office, again with a 30 minute observation period afterward. There is a difference between having a food intolerance and a food allergy. Studies show that flu vaccines can be safely administered to egg allergic individuals, wither in the primary care provider’s office or allergist’s office depending on the severity of the allergic reaction to eating eggs. Ghosts and goblins aren’t the only scary things your children might encounter this Halloween. For parents of kids with food allergies, Halloween treats—from candy to cookies—can be frightening too. 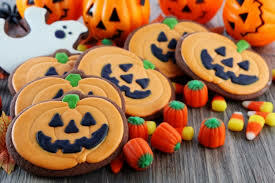 Common allergens such as peanuts, tree nuts, milk and egg are often ingredients in Halloween treats. Some kids may experience a rash or red, itchy skin, vomiting, a stuffy, itchy nose, or diarrhea or stomach cramps if they eat a food to which they are allergic. For children who are severely allergic, a single bite of these foods may cause a life-threatening reaction called anaphylaxis. An anaphylactic reaction typically affects more than one part of the body, and can happen very quickly. Signs of anaphylaxis include: • A lump in the throat, hoarseness or throat tightness • Trouble breathing, wheezing or chest tightness • A tingling feeling in the hands, feet, lips or scalp Other symptoms of anaphylaxis include dizziness, confusion and shock. If you or your child experience any of these symptoms, use your autoinjectable epinephrine and call 911 immediately. A Safe Halloween Having food allergies doesn’t mean having to skip all Halloween fun. Follow these tips for a safe holiday: • Plan food-free Halloween activities. Fun alternatives include costume contests, games and pumpkin carving. • Don’t let your food-allergic child trick-or-treat alone, and always make sure they carry their autoinjectable epinephrine with them. • Verify that adults or friends with your child understand his or her food allergies and what to do in an emergency. • Be cautious of “fun size” candy, which may contain different ingredients than regular size packages. • Teach your child how to politely say no to food that may not be safe, especially homemade items such as cookies and cupcakes. Helpful Resources • Allergy-Free Zone Signs • Anaphylaxis Action Plan • Anaphylaxis Wallet Card To the Point Be cautious of “fun size” candy, which may contain different ingredients than regular size packages. Ghosts and goblins aren’t the only scary things your children might encounter this Halloween. For parents of kids with food allergies, Halloween treats—from candy to cookies—can be frightening too. Common allergens such as peanuts, tree nuts, milk and egg are often ingredients in Halloween treats. Some kids may experience a rash or red, itchy skin, vomiting, a stuffy, itchy nose, or diarrhea or stomach cramps if they eat a food to which they are allergic. For children who are severely allergic, a single bite of these foods may cause a life-threatening reaction called anaphylaxis. Other symptoms of anaphylaxis include dizziness, confusion and shock. If you or your child experience any of these symptoms, use your autoinjectable epinephrine and call 911 immediately. • Plan food-free Halloween activities. Fun alternatives include costume contests, games and pumpkin carving. • Don’t let your food-allergic child trick-or-treat alone, and always make sure they carry their autoinjectable epinephrine with them. • Verify that adults or friends with your child understand his or her food allergies and what to do in an emergency. • Be cautious of “fun size” candy, which may contain different ingredients than regular size packages. 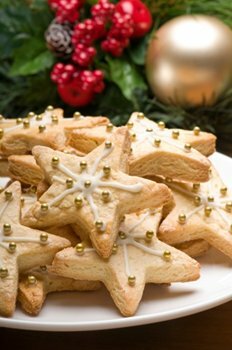 • Teach your child how to politely say no to food that may not be safe, especially homemade items such as cookies and cupcakes. Be cautious of “fun size” candy, which may contain different ingredients than regular size packages. 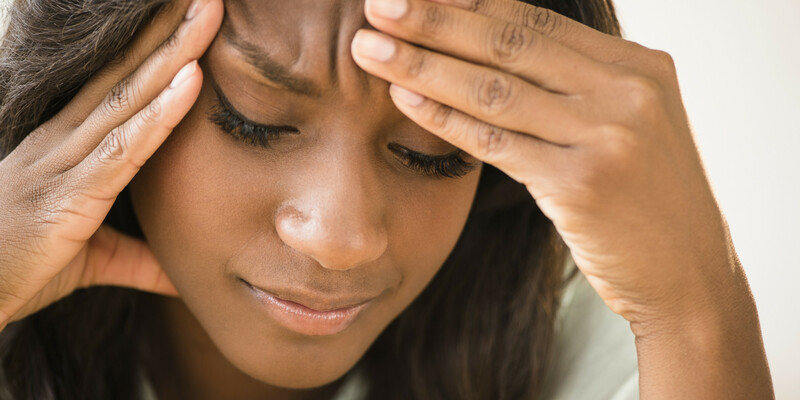 While the majority of headaches are not a sign of a serious or life-threatening illness, they often affect quality of life. There are occasions where allergies or sinus problems can lead to a person to have headaches. Headaches associated with nasal symptoms are common and may be due to sinus disease in and around the nasal passages. A sinus headache is hard to identify since headache specialists consider true sinus headache to be fairly rare. Recent studies suggest that patients who appear to have sinus headaches frequently have migraines. People wth have headaches that seem to originate in the sinus should be carefully evaluated by a physician. Making the right diagnosis is important because primary headache disorders like migraines need a very different treatment compared with allergy headaches. Acute sinusitis is defined as 3 months duration, commonly associated with allergic rhinitis, and can occasionally lead to headaches. Patients may also describe experiencing “sinus headaches.” However, it is controversial whether constant blockage of the nasal passages caused by allergic inflammation can lead to chronic headaches. Patients who experience blocked nasal passages should visit an allergist for testing. An allergist can diagnose your allergies and help you manage your symptoms. Treatment strategies could include steps to avoid specific allergens, medications or allergy immunotherapy (allergy shots). 1) A headache in the front of your head with pain in one or more areas of the face, ears, or teeth and clinical or laboratory evidence of acute or chronic rhinosinusitis. For example, your doctor might do a nasal endoscopy, which lets him or her see what is happening in your nasal and sinus passages. 2) Headache and rhinosinusitis symptoms that occur at the same time. 3) Headache and/or facial pain that goes away within seven days after decreased symptoms or successful treatment of acute or chronic rhinosinusitis. The majority of people with self-diagnosed sinus headaches are really suffering from migraines, which is why it is important to see a doctor to get a correct diagnosis. Research also supports a link between migraine and allergy, so your physician will consider both migraine headache and sinus headache if you are experiencing headaches and allergic rhinitis.